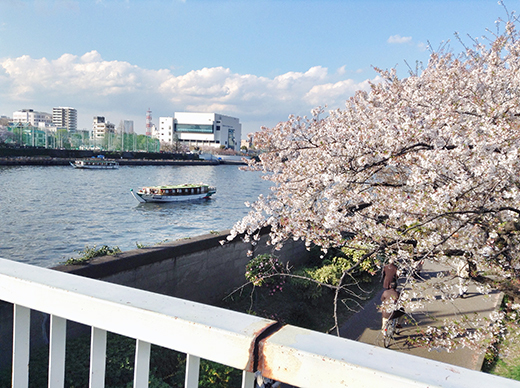 I went to Asakusa to enjoy sakura in Sumida Park the early part of April. 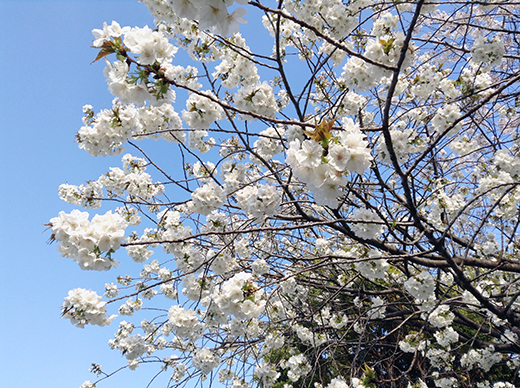 The riverside park has about 1,000 sakura trees. I was born & grown up in the west side of Tokyo, so I haven’t been going there before that day. 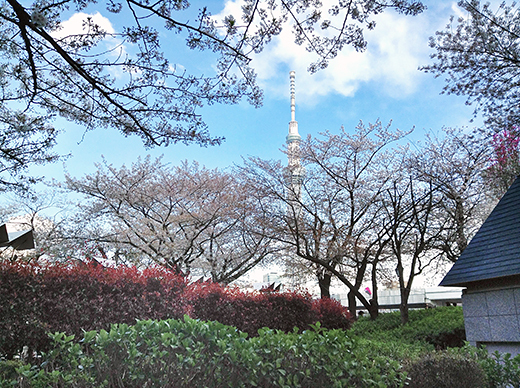 There was a wonderful view of sakura with Tokyo SkyTree, and we could see both of riverside became looks like pale pink fluffy ribbons made of sakura trees.